The Sir Stamford at Circular Quay oozes heritage and luxury of a very particular variety – that of the British colonial era. The 105 room hotel’s namesake, Sir Stamford Raffles – the colonialist responsible for effectively founding the modern city of Singapore – is a nod to the Singaporean owner-operator of more than 2500 luxury hotel rooms across Australia and New Zealand. Situated a stroll away from the Sydney Opera House amongst the 19th century buildings of prestigious Macquarie Street, Sir Stamford’s red carpeted entrance lies opposite the Royal Botanic Gardens (and starting point to the Cahill Walk). Red carpet for guests at the Sir Stamford. The dining room is to the left of the entry, at street level. Image: Sir Stamford Circular Quay. As the name implies, Sir Stamford takes its decorating cue from traditional British sensibilities. The hotel features 18th century Louis XV and Georgian antique furniture and a fine art collection. The Superior Room with comfortable king bed is spacious (approximately 32 square metres) and tastefully furnished. French doors opening on to a Juliet balcony overlooking Circular Quay provides ever-welcome fresh air, as well as sounds from the ferry wharf below. A Superior room at the Sir Stamford hotel, Circular Quay. Image: Sir Stamford. Known for its High Tea service, the Dining Room’s two course pre-theatre dinner special was disappointing, lacking in flavour and overcooked. Given the dinner experience and price, we skipped the a la carte breakfast. The Bar, for a weekend after-show drink, was surprisingly busy with enough – very genteel – atmosphere to forget that it’s a hotel bar. Step out of the hotel to enjoy Circular Quay’s new eateries, nearby hatted restaurant Aria, or stroll around the harbour to restaurants at the International Passenger Terminal and The Rocks. The Sir Stamford Circular Quay has taken the hotel truism “location, location, location” to heart with most of Sydney’s major sights and attractions either at its doorstep or within a 10 minute stroll. Views over Circular Quay and to the Sydney Harbour Bridge from the lookout. Image: Sydney Coast Walks. See a show or join a backstage tour of the Opera House, walk across the Sydney Harbour Bridge, picnic in the Botanic Gardens and stop by Mrs Macquaries Chair (or keep exploring the Sydney City Walk loop). Ferries at Circular Quay open up the harbour for exploration, with short excursions to Watsons Bay (try the walk to South Head or simply have fish and chips), Taronga Zoo and Bradleys Head, and plenty of things to do in Manly. Friendly, if a little stand-offish, service combined with generously-sized rooms and fabulous location deliver the Sir Stamford’s promise of a luxury stay. However, its British colonial aesthetic gives an overall feeling of heaviness and darkness – quite the opposite of a fresh, contemporary Australian experience which may be more suited to someone enjoying Sydney's outdoors. Rooms from $370. 93 Macquarie Street, Sydney. Tara Wells travelled at her own expense (July 2018). Relaxing in the well-appointed room right up until nearly showtime, for the short stroll to the Opera House. No parking hassles, just Sydney Harbour spread out before us. The disappointing restaurant experience made us want to leave the otherwise comfy hotel. Where else to stay in Sydney? 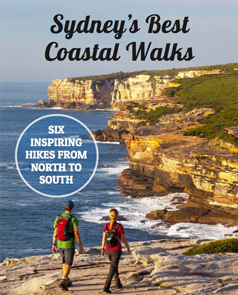 Find more accommodation reviews with all our suggestions of where to stay in Sydney to walk. Includes links to more than just hotels… there are also AirBnBs, campgrounds, ideal locations for different trip styles, and more.